Prior to his death in Rome, Paul worked tirelessly to establish Christian churches throughout Asia Minor, Macedonia, and Greece. Along the way, he was joined by a number of courageous, loyal, and even scholarly helpers. A man named Apollos, a member of the large Jewish community in Alexandria, Egypt, ended up teaching the Gospel at the synagogue in Ephesus. He was very well trained in the scriptures and could handle himself in debates with the toughest opponents. Paul’s assistants, Priscilla and Aquila, heard him teach at Ephesus and recruited him to Paul’s work. Apollos was sent across the Aegean Sea to Corinth, a city where the new Christians faced constant struggles. Apollos was so successful in his ministry there, that he got quite a following for himself. In one of his letters to the Corinthian church, Paul mentioned that Apollos was developing the kind of personal reputation that Christian leaders should discourage. Paul wrote that Christians should not consider themselves disciples of Apollos, or Peter, or Paul – but rather, disciples of Jesus Christ. It was Christ who was crucified for the sins of his followers – His followers merely have particular jobs to do in the church. At this point, Apollos vanished from the Biblical record. Church tradition takes him from Greece to Rome. 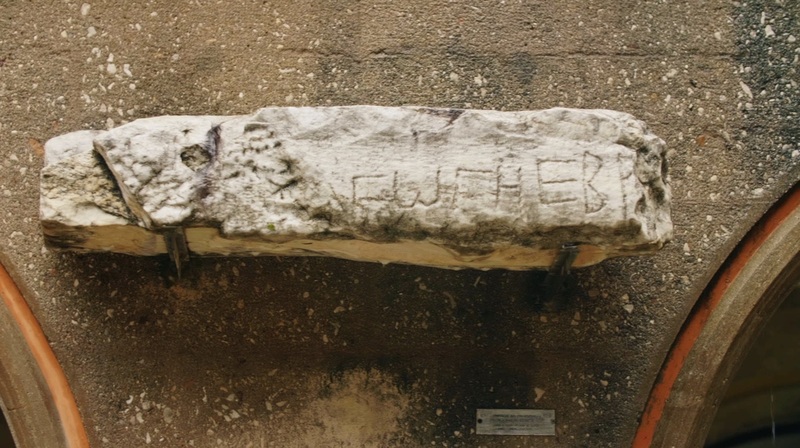 It was here, about ten years later, that a mysterious letter was written with incredible insight into the identity of Jesus Christ. The letter was addressed to Jewish followers of Jesus, probably in Judea and Galilee, who were being tempted away from the faith. The letter is known to history as the Epistle to the Hebrews – or the Book of Hebrews — or simply, Hebrews. Although Hebrews made it into the New Testament, nobody really knows who wrote it. In the late 2nd century, church historian Tertullian gave credit to Barnabas. Others have said Luke, Philip, Silas, or Clement of Rome. During the 2nd and 3rd centuries, church scholars in Alexandria came to believe the writer was Paul. However, detractors argue that Hebrews doesn’t match the style or content found in any of Paul’s other letters. Today, some New Testament scholars support Apollos as the writer of Hebrews. In the 16th century, Martin Luther eventually made this conclusion, and others have followed suit. But one thing all Christian scholars can agree on is the importance of Hebrews to the New Testament. Since the letter assumes the rituals and sacrifices were still happening at the Temple in Jerusalem, Hebrews must have been written before its destruction in 70 AD. This matters, since Hebrews presented Jesus Christ as “Divine” — fully human and fully God. Therefore, the divinity of Christ is a very early Christian doctrine. Hebrews opens by declaring Jesus as the “Son of God.” Through the Son, God made the world. By going through death, the Son conquered sin and death on our behalf. According to the Book of Hebrews, Jesus Christ’s once-for-all sacrifice ended the need for the recurring animal sacrifices at the Temple. The New Covenant had replaced the Old. However, this teaching would have been outrageous to religious Jews living in the 60’s AD. The rites and rituals of the Temple were still in full operation like they had been for centuries. However, just a few years later, Jerusalem and its Holy Temple would be utterly destroyed. Randall Niles is the Lead Writer for Drive Thru History.